During a minor surgical procedure done in the dental office, your dental implant is inserted directly into the jawbone in the space vacated by the missing tooth. We schedule about 45 minutes to an hour to place one implant but much less time is required for additional implants. Initially, time is spent reviewing medical history, taking your blood pressure and providing you with the proper anesthesia. Any postoperative discomfort can normally be managed with over-the-counter pain relievers. Your implant will then be left to heal for a period of months before the final crown is attached. During this healing period, the implant actually fuses to the bone surrounding it. We use implants made by the BioHorizons company because of the technological innovations they have made to ensure the best possible healing, success rate and final result. Learn more about how dental implants work. You'll be amazed to learn more about the variety of ways dental implants can be used to replace one tooth, multiple teeth or even all teeth in your mouth. Implants are so strong, they can support bridgework or a fixed denture, meaning a full row of teeth (top or bottom) can be anchored by as few as four implants. And as few as two implants can be used to stabilize a lower removable denture so it won't slip while you're eating or speaking. Learn more about your dental implant treatment options. If you need to have failing teeth removed, we may be able to place dental implants into the tooth sockets immediately after removing the teeth if circumstances allow. This has some definite advantages — the major one being that you will need just one surgical procedure rather than two. Depending on how many implants you received and where they are in your mouth, we also may even be able to give you a temporary dental crown or a set of temporary teeth to wear during this healing phase. That way, you will not only walk out of the dental office with new implants, but possibly new teeth as well! But please be assured that we will not rush anything; if your unique situation requires us to allow more healing time and to finish your new teeth in stages, that is what we will do. Learn more about immediate implants. Computer-guided implant surgery can result in a shorter implant-placement procedure with minimal discomfort and a very precise result. A three-dimensional CT (computed tomography) scan of your jaw is used to create a template that resembles a nightguard or athletic mouthguard with holes in the plastic where the implants will go. This template is securely (but temporarily) fixed in position on the jaw to provide a precise guide for the placement of the implants. Since so much has been worked out in the planning stages, computer-guided implant surgery is typically uneventful for the patient and very predictably achieves the desired result. Learn more about computer-guided implant surgery. There are only two ways an implant can lose attachment to the bone and fail once it has successfully fused: poor oral hygiene or excessive biting forces. Poor oral hygiene and/or a lack of regular cleanings can lead to a destructive bacterial infection called peri-implantitis. Flossing and brushing your teeth on a daily basis, along with regular professional cleanings, can prevent this. Excessive biting forces can come from either a habit of clenching or grinding your teeth, or an insufficient number of implants to handle the forces generated by your bite. We will make sure you receive the correct number of implants so this does not happen. And if you have a habit of grinding or clenching your teeth, we will recommend wearing a nightguard to protect your implants. After all, implants are a long-term investment in your smile, your health and your well-being, so let's do our best to protect your investment.  Do you want to replace your missing teeth with Dental Implants from Kleinheinz Dentistry? Call our Charlotte, NC office today at (704) 542-6003 for more information!